Find out how IVE has helped our clients be more creative and who are the partners and funders helping us to do this. Altrad is a global leader in the provision of industrial services, generating high added value solutions principally for the Oil & Gas, Energy, Power Generation, Process, Environment and Construction sectors. The group is also a recognised leader in the manufacturing of equipment dedicated to the Construction and Building market. 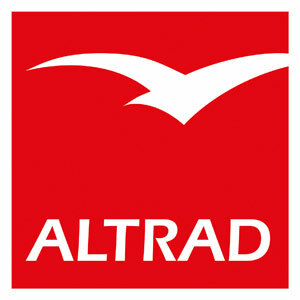 Altrad recently merged with Cape UK (formerly Cape plc). IVE worked with the newly merged team on a project called “Fit 4 Future” which sought to equip the future leaders at Altrad with creativity, imagination and innovation. We delivered an ongoing training & professional development programme to achieve these aims culminating in the “Fit 4 Future” team outlining the plan for integrating Altrad with Cape UK in the form of a musical performance. Thomas Lister was formed in 2002 by experienced surveyors Chris Thomas and Rachel Lister who each have more than 20 years experience in property development. They aim to provide quality, well-researched advice and devise strategies that enable public and private sector property development and regeneration projects to become reality and help deliver successful projects. IVE are providing consultancy services to Thomas Lister to assist in the sale of a portfolio of heritage buildings. These buildings pose significant challenges to potential buyers so we’re providing a creative feasibility service that helps potential developers see the possibilities of the properties, find sustainable uses for them and overcome planning objections. Ukie is the trade body for the UK’s games and interactive entertainment industry. We delivered Creativity for Teaching to their lead teacher network. The Royal Shakespeare Company believe that Shakespeare should be made vivid, accessible and enjoyable for young people and their teachers. They deliver a range of programmes aimed at improving the quality of teaching, particularly where it relates to Shakespeare specifically and the arts more broadly, and improving young people’s engagement with Shakespeare, drama and other creative subjects. IVE has worked with the RSC to deliver our Creativity for Teaching CPD course to 30 teachers in Hull. IVE is one of 10 Arts Council Bridge Organisations tasked with promoting Cultural Education by working with schools, arts organisations, heritage & cultural organisations and museums. Support schools on the Artsmark journey. Promote Arts Award and assist organisations with its delivery. Work directly with arts & cultural organisations to encourage them to apply the Arts Council’s Quality Principles. 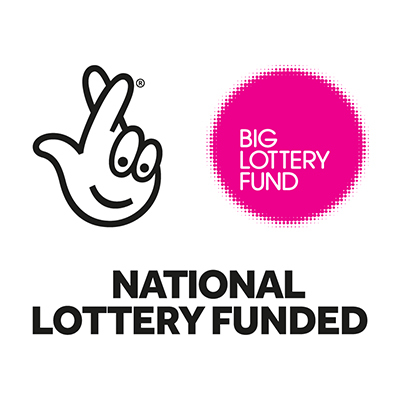 The Heritage Lottery Fund has funded our programme “Ignite Yorkshire” aimed at forging a new relationship between young people and Yorkshire’s industrial heritage. Ignite Yorkshire places young people and their ideas at the centre of heritage development, aiming to ensure its relevance for current and future generations. Through a range of heritage, creative and youth sector organisations Ignite Yorkshire will engage groups of young people with activities ranging from canal conservation and stone masonry to music festivals and augmented reality – reimagining the past, present and future. 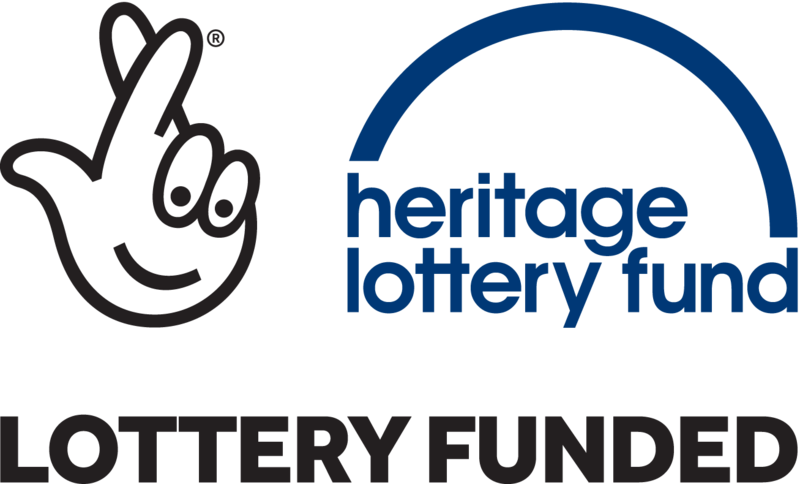 £962,300 has been awarded through the Heritage Lottery Fund’s (HLF) “Kick the Dust” programme to launch Ignite Yorkshire which will see IVE partnering with heritage & cultural organisations across Yorkshire to inspire a renewed, revived and re-invigorated passion for Yorkshire’s rich culture and history among the region’s young people. Find out more about Ignite Yorkshire. IVE uses funding from Awards for All to deliver our Shaping Creative Future programme. Activities so far have included creative careers sessions, filmmaking courses, and trips to museums and other cultural institutions. Kycker is a platform that helps new and emerging musicians profit from their work. It contains a mix of tutorials and tools to help musicians make money by doing things like registering their music for royalties. IVE works with kycker to provide mentoring and career development opportunities for young musicians. Expect Youth are committed to providing youth focussed provision across Doncaster that provides positive activities and personal development opportunities for young people. We worked with Expect Youth on a project “Expect Arts” that provided opportunities for disadvantaged young people to engage with high-quality arts & cultural activities. Young people on the project were given the chance to develop their skills, gain an Arts Award and become part of a cohort of young arts leaders. Paul Hamlyn are an independent funder working to help people overcome disadvantage and lack of opportunity, so that they can realise their potential and enjoy fulfilling and creative lives. Paul Hamlyn have funded a number of IVE projects including our teacher development pilot. Rugby League Cares is the official charity of rugby league, with a mission to enhance and enrich people’s lives through the power and positive influence of rugby league. We have worked with Rugby League Cares and other partners to deliver the programme “When Dance Happens” encouraging young people to take up dance and helping develop young talent into a dance career through Arts Award and partnerships with Phoenix Dance Theatre. Endeavour is a growing charity that works hands-on with some of Britain’s most disadvantaged, disaffected and forgotten young people. We worked with Endeavour on a project “Our Sheffield” that provided access to the arts for 100 disadvantaged young people to improve their quality of life and life chances. The young people are from the Burngreave Ward in Sheffield, which is the second most deprived area of the city comprising 22 different EU migrant nationalities (including Syrian, Eritrean, Roma and Slovak) and 63.5% BME and white British born living in poverty, including 40% young people with SEND. These young people do not currently access the arts in other parts of the city at all. The aim of this programme was to bring the arts to them and their communities and up-skill those working with them to be able to offer the arts on an on-going basis embedded within Endeavour’s curriculum today. Focussing mainly on the creative visual arts, film, music and circus-based activities young people wiere offered the opportunity to engage in drama, dance and spoken word across the initiative project. Find out more about Our Sheffield. Ignite Imaginations is a community arts organisation based in Sheffield that aims to celebrate and connect communities through art and creativity. IVE works with Ignite Imaginations on a partnership investment programme “Arts & Cultural Ambassadors,” which helps young people in Sheffield discover and explore the range of careers options available to them in the creative sector. Find out more about Arts & Cultural Ambassadors. Children & the Arts’ vision is for healthier and happier children through the power of an inclusive and accessible arts sector. We work with Children & the Arts to deliver “Start,” a programme that will enable primary school children, particularly those from disadvantaged backgrounds, to participate in high-quality arts and cultural experiences. Calls9 builds digital experiences for the web and mobile that drive business growth and increase team productivity. They have sponsored IVE events including our Young Artists Auction and are a part of our regular group of thought leaders. The Leeds City Region Enterprise Partnership works with public and private sector partners to provide support and funding to help businesses grow, attract new investment to the region and develop the skills, energy and digital infrastructure to create jobs and prosperity. IVE is a member. We have also delivered Building Creativity training through their education and employment team. We are a partner organisation in the Northern Powerhouse helping to shape the future of skills development in the North by being involved in the conversations behind vital strategic planning in this priority area. CC Skills is an independent charity that provides careers advice and guidance, promotes apprenticeships, and delivers activities for young people interested in the creative & cultural sector. IVE delivered a Creative Skills Initiative programme with CC Skills that improved the employability of more than 230 young people and supported 40 young people into creative apprenticeships. IVE is a member of the West and North Yorkshire Chamber of Commerce. We provide our expertise in problem solving, innovation and the creative sector to various projects spearheaded by the Chamber. Tileyard Studios is a creative hub in London that is home to a wide spectrum of companies predominantly operating in the music, film & television, fashion and creative tech sectors. We work with Tileyard on a number of projects and to support and provide mentoring opportunities for young people. At IVE we worked extensively with Hull City of Culture on their “No Limits” strand which aimed to engage children & young people in the arts through education. We delivered numerous projects including CPD for teachers and registering all schools in Hull for Artsmark. 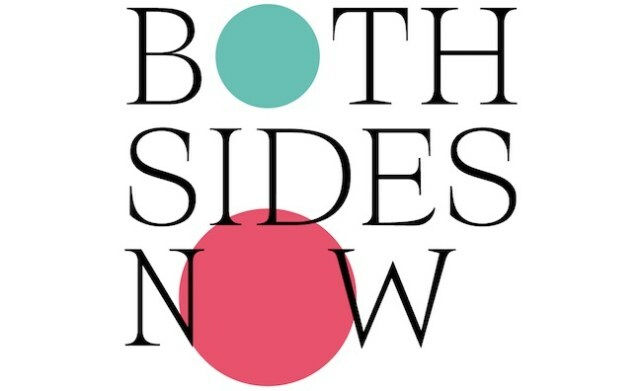 Both Sides Now is a three-year programme to support, inspire and showcase women in music across the North of England, with support from Arts Council England’s Ambition for Excellence fund. IVE is a partner organisation.